This dress by Rim Zim is the perfect Spring wardrobe staple. 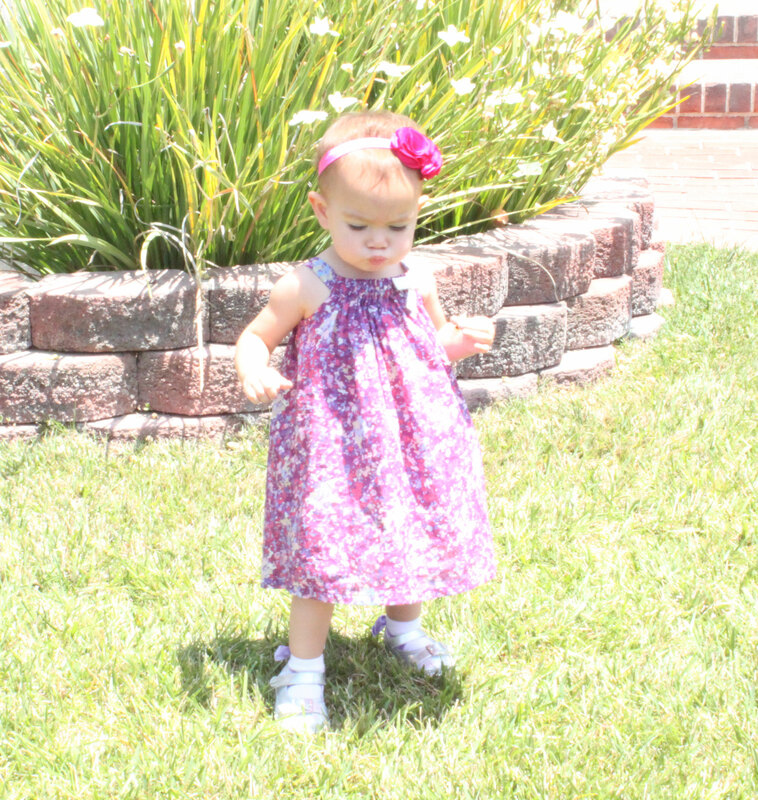 Kayla was at one with nature in this flowy floral dress. 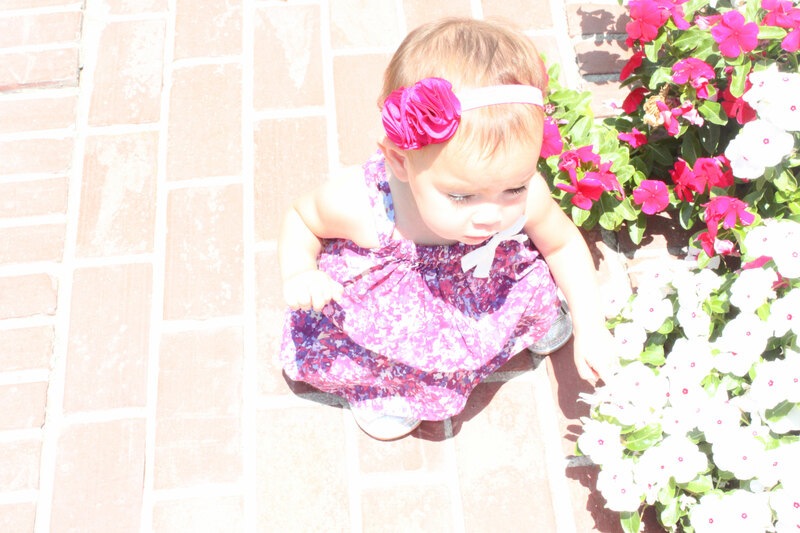 She looked beautiful frolicking amongst the flowers. The shoes are ridiculous (in a good way), they squeak when she walks! She had so much fun running around in these shoes. I felt bad for all the people in the stores and restaurants we went to this day but it was so worth it to watch her have that much fun. Her joy trumps my embarrassment any day. I highly recommend letting your child own just one pair (that’s enough!) of these. Lastly, I love adding that little extra touch and these socks from Trumpette allow me to do that with the cute little bows on the back. I think we own them in every color they have.